Despite the City’s Roman history and its agricultural links, the team a doesn’t even have a nickname. They are known as the “Cherry and Whites” due the cherry red and white hoops on the shirt. This is about the closest they are going to get to having one. They have a close rivalry with Bath and Bristol due to there nearness. The improving Exeter has also brought in a new opponent for an almost local Derby match. The are perennial stayers in the Premier league of Rugby Union having never been relegated from it since it’s inception in 1997. Since that time, they have won it 3 times in the two thousand and two – two thousand and three season, the two thousand and six – two thousand and seven and the two thousand and seven – two thousand and eight seasons where they achieved a dynasty of back to back victories. To confuse the matter the “Football Club” was formed in 1873 in a pub called the Spread Eagle. This was to be the beginnings of a fruitful history. All the time the club has pitched itself against Bath RFC and for most of the time Gloucester has come out on top. One of the most important rues of the club was that it should be amateur. Until the formation of a professional league in 1995 all Union, both league and International, was based on the same level. All of the players were part time. They were rewarded in other ways, for example sponsors would provide luxury gifts such as cars or hotel breaks as a bonus to the players if they performed well. 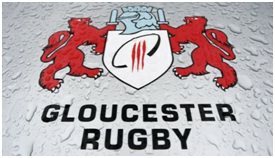 This got Gloucester into hot water and they were suspended fromthe league for a time. They responded with a full-on approach that all players were to be strictly amateur and they stuck by thisrigidly. It did cause issues for the club later on as they could not attract players as the luxury perks were not being offered. The chairman clearly stated that the rules said we don’t pay players, so they didn’t. This gave free rise to Bath RFC and they began to be the more dominant team in the west. Even after 1995 Gloucester were slow to adapt to the new world order. They have now overcome this and are considered one of the strongest teams in the league.